The Apollo 11 Command Module, Columbia, is currently being prepared for its first trip in more than 40 years. Having completed its first major trip, a journey to the Moon in 1969, the spacecraft toured the country before being turned over to the Smithsonian Air and Space Museum in 1971. For most of the time since then, you could view the historic spacecraft in its protective Lucite display covering at the National Air and Space Museum (NASM) in Washington D.C. The museum is currently undergoing a renovation which will eventually result in a new display – Destination Moon – for the historic Apollo artifacts (currently set to open in 2020). Apollo 11’s Command Module was removed from the museum to be stored. The NASM decided that storing the capsule away for a couple of years wasn’t the best use of the artifact and came up with the new “Destination Moon: The Apollo 11 Mission“ tour that will come to four museums across the country over the next two years. 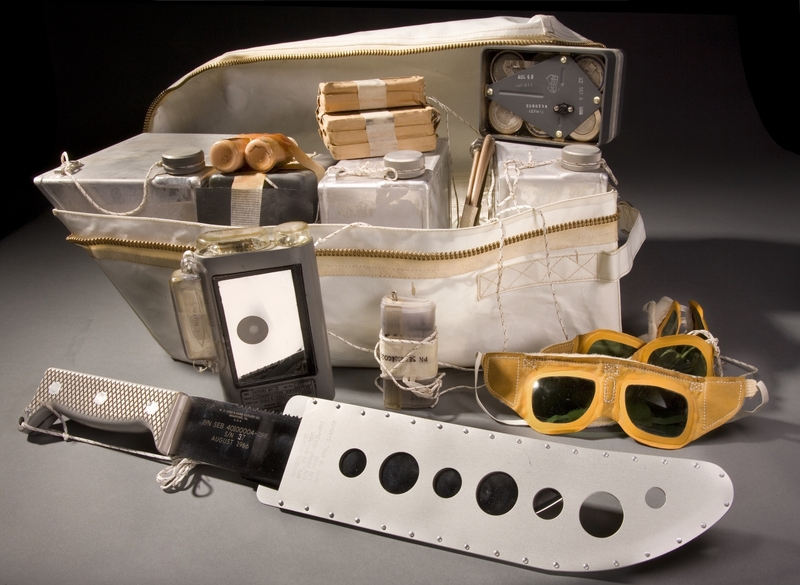 Columbia, along with the gloves that Apollo 11’s Lunar Module Pilot Buzz Aldrin wore on the lunar surface and his helmet visor, along with a sample collection box that brought back the first samples from the Moon’s surface and other historical items, approximately 20 in total, will make the trip. Preparing the artifacts for display, and more importantly, for travel is critical to the success of the tour. Columbia will present the biggest challenge due to its size, but also for other reasons. To help the preservation team do its job, the museum has technical documents from NASA pertaining to how the spacecraft was built. In addition, they will also perform more non-intrusive analysis of the materials to determine how best to preserve them. While the entire spacecraft will be examined and protected however is necessary, the preservation staff tasked to ready the spacecraft for its newest journey is particularly concerned with its heat shield. The heat shield, originally made of an ablative material designed to burn away as Columbia re-entered the Earth’s atmosphere at an astonishing 39,000 km/h (∼24,200 mph), is now in a delicate condition since a good portion burned away as designed, and also the fact that it is 50 years old. The binding agent that held the heat shield together is virtually gone, so the task at hand is to preserve it in its current state and protect it so that it can be transported across the country. Inside the capsule, there are sensitive textiles as well as recently discovered markings that the astronauts made inside the spacecraft during their flight; these need to be preserved as well. Outside the spacecraft, since it had landed in the ocean and was exposed to salt water, there are areas of the spacecraft that have salts inside them which are not detrimental to Columbia being preserved as long as it is kept in the proper environment. So the team has to make sure that the museums it will travel to, as well as the climate-controlled vehicle it will be transported in, all have the proper environment. The overriding goal is to preserve the spacecraft in its current state, so it looks just as it did when it returned from the Moon almost 50 years ago. Nothing will be improved upon, or repaired – just preserved. The team also restored the original transport stand that was used in the first tour so that it could be used again for this one. While the public will not be able to see the interior of the capsule or the markings the astronauts had made inside, they will be able to do so via a 3-dimensional model that the museum has created of the interior of the spacecraft. Last year, curators from the museum went inside the Command Module and documented it thoroughly with notes and, more importantly, pictures and 3-D scans. From those scans, they have constructed an interactive 3-D model of Columbia’s interior that will allow viewers to see the spacecraft’s insides like never before. If you can’t make it to the traveling 3-D presentation, you can see it today from your PC at Apollo 11 Command Module. “Destination Moon: The Apollo 11 Mission” will make four stops before returning to Washington D.C.: Space Center Houston in Texas (October 14, 2017 – March 18, 2018); the Saint Louis Science Center in Missouri (April 14, 2018 – September 3, 2018); the Senator John Heinz History Center in Pittsburgh, Pennsylvania (September 29, 2018 – February 18, 2019); and the Museum of Flight in Seattle, Washington (March 16, 2019 – September 2, 2019).